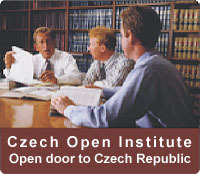 According to your knowledge and abilities, the Czech Open Institute will ensure the juridical frame of your working practice. From the seasonal works on working concession of the Office of Work up to an appointment to manager posts in various companies. For those of you who want to live in the Czech Republic for a long time, we offer a special project "czechwork". Primarily, it is assigned to those who have terminated our Czech language lessons, but for the vacancies, we can accept also the other applicants.